A decade of being involved in group walks has helped Kath grow in confidence and has also been a key factor in the treatment of her mental illness. 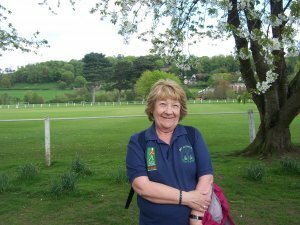 Read Kath's inspiring story to find out first-hand how important physical activity can be to ensure mental well-being. I started walking 10 years ago after being referred by my Community Psychiatric Nurse, there was a weekly walk going from my local Mental Health Resource Centre and she thought it would do me good – not only to get some exercise but also as a way of meeting people. She saw it as part of a package of treatment for my bi-polar disorder so I started going along and soon found that I was really looking forward to the weekly trips. The walks were short walks under an hour and were run by volunteers from Get Active in The Forest the local Walking for Health Project in South Derbyshire. I found it easy to talk as I was walking along and I felt so much better each time I'd been. After a few months of attending I was asked if I would like to train as a walk leader. At first I was reluctant, but Betty, our regular walk leader, reassured me. She explained that the training, which was run locally by people who I already knew, was nothing to be worried about and she agreed to come along with me for moral support. I was adamant that if I did it I was only going to be the back leader and would only help out on my own walk. I did the training and really enjoyed it. Before long, with the help and support of Betty, who became my mentor and friend, I was not only leading my walk but helping out with other walks too. Over the past 10 years I have regularly led local walks including an Asian Ladies walk and a Sheltered Housing walk. I have found that even through some difficult times, including a recent divorce, my walking has remained a constant in my life. When I moved into a flat on my own and could have become very isolated and depressed it has helped me to keep going out and meeting people and kept me busy and given me a purpose. There have been times in the past 10 years when I have had relapses but my walking has always been there for me, my confidence has grown immensely, I am a totally different person now than I was 10 years ago and so much of that I owe to my walking. If you have been inspired to find out where your local walking groups are, here is some information to get you started. 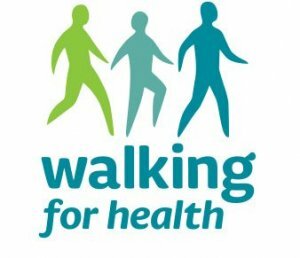 There are Walking for Health groups all across Derbyshire, click here to find out more. 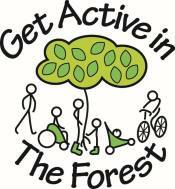 You can also visit the Derbyshire Sport walking pages. For more information on mental health awareness and support on offer, click here.